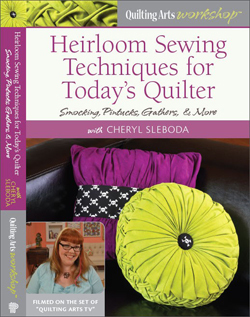 tutorial – Page 2 – Cheryl Sleboda – Textiles. Technology. Texture. Teacher. It’s my birthday, and I have present for you! – Recycled Doorstop tutorial! Jan 29, 2010 Muppin Comments Off on It’s my birthday, and I have present for you! – Recycled Doorstop tutorial! 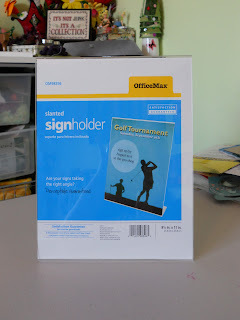 This is a super easy, super fast way to make a cute decorative doorstop! In my house we have these additional bathroom doors that separate the toilet from the rest of the bathroom. These doors never stay all they way open, and when changing the toilet paper roll one day I discovered they make the best door stops! 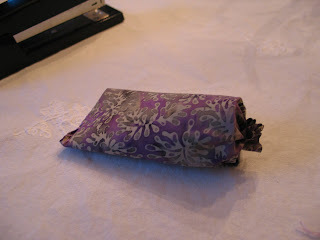 A bit of a fabric remnant makes them pretty and they can match your decor. -(optional) dried beans, pebbles, or other heavy filler. Step 1. Staple one end closed on the paper tube. 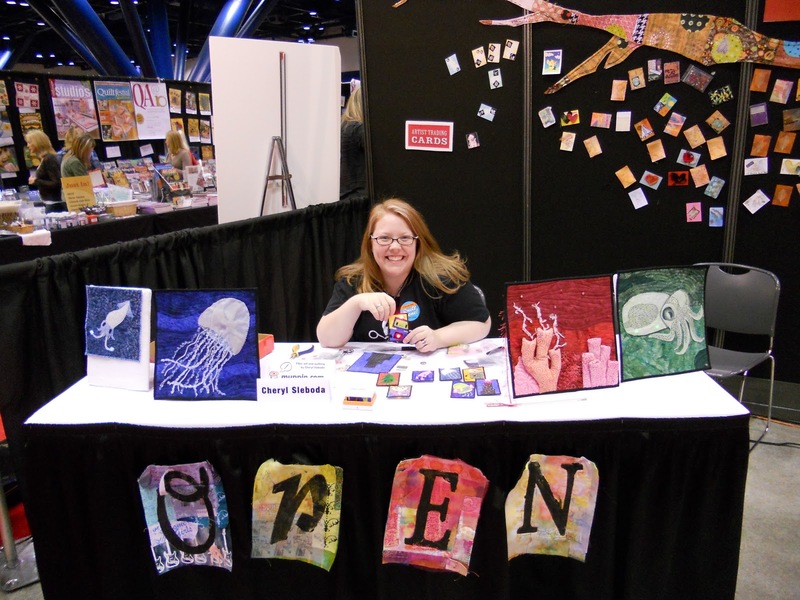 Leave the other end open. The stapled end is the one that will go under the door. Step 2. 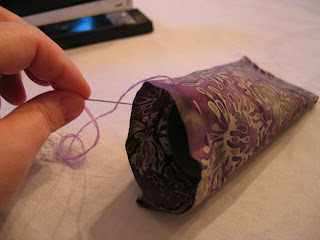 Take the fabric and wrap it around the tube. 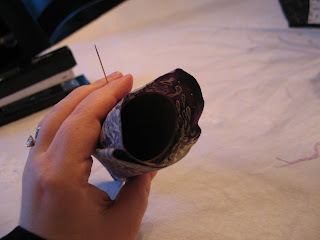 Make sure the cut/raw edge end of the fabric gets tucked under and ends up on one of the flat sides of the tube. 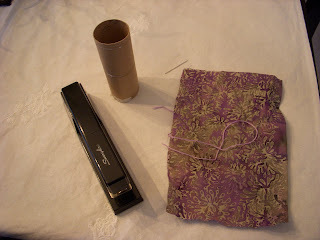 Use a piece of tape to hold it in place while you sew. Step 3. 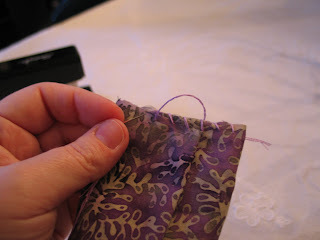 Fold the end of the fabric on the stapled side and stitch along that end to close up the fabric. 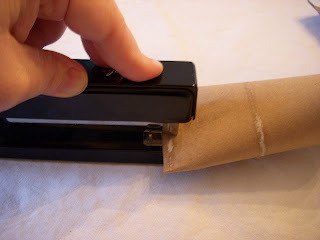 It may slide off the end of the tube, and that’s ok, you can just push the tube back in when the edge is sewn up. 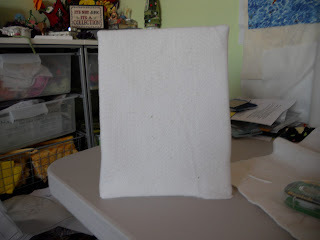 You can use a decorative stitch, or even take this to your sewing machine and sew the line, I chose not to because I was lazy. Step 4. If your tube shifted, now is the time to push it back in all the way against the new seam in the bottom. Step 5. About an inch away from the top of the cardboard, make a running stitch in the fabric. You will be pulling this thread to gather the end of the door stop. If you have heavy doors, now is the time to add the pebbles or beans to weight your doorstop. 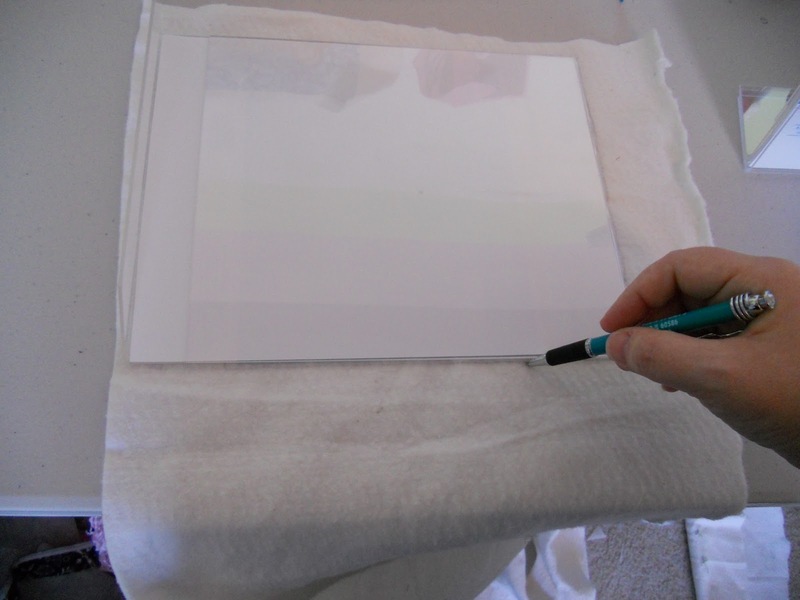 Step 6. 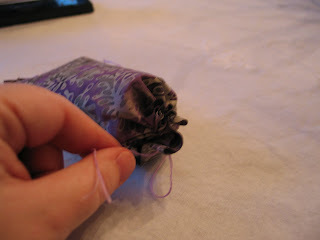 Pull the thread to gather the fabric and tie a secure knot to close your ruffle. Remove your tape placeholder on the side of the tube. Step 6. 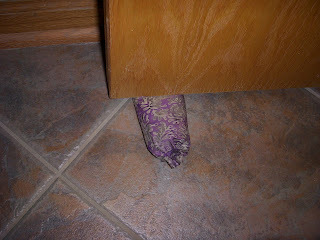 Put your doorstop under your door! 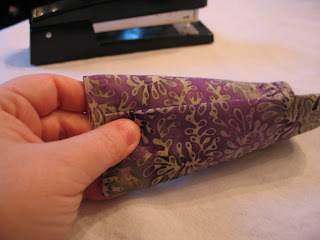 The fabric gives a little tooth to your stop, and the tube bends slightly to keep from marring your floors or door. 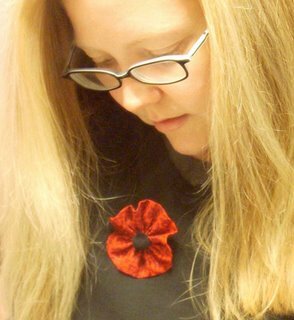 Never Forget – Remembrance day/Veteran’s Day Poppy pin tutorial! Nov 09, 2009 Muppin Comments Off on Never Forget – Remembrance day/Veteran’s Day Poppy pin tutorial! I’m crawling out from under my rock to say Never Forget! Or more importantly “Don’t Forget about my Poppy pin tutorial” on the side bar or via this linky right here!